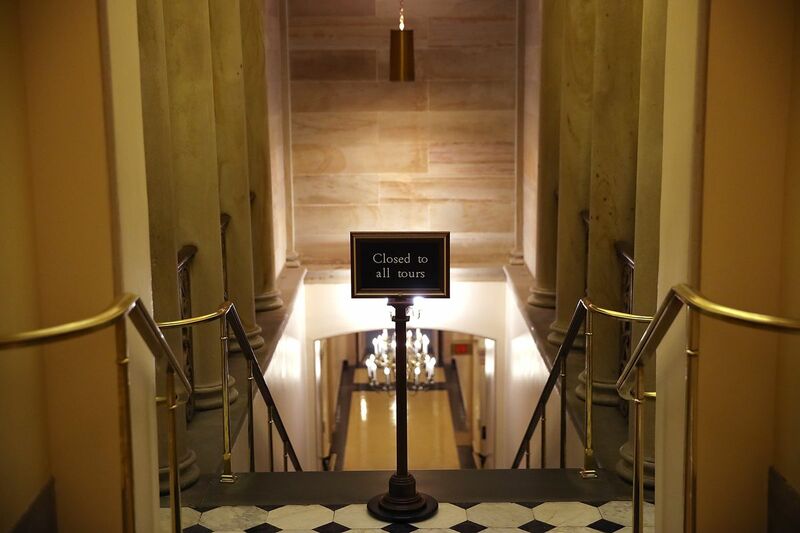 A Suboptimal Status Quo: Is Congress Broken? Can a legislature fairly be called “broken” if it can’t even pass must-pass legislation? Is Congress broken? What does it look like to even have a functioning legislative process? Yes. Yes. And no one is quite certain about the last bit. On Thursday, March 21, a panel of legislative experts convened to speak to students and faculty about these questions. Contributing to this discussion was Kathy Dedrick, the majority Staff Director for the House Transportation and Infrastructure Committee, James Wallner, a Senior Fellow at the R Street Institute and former Executive Director of the Senate Republican Steering Committee. Former Chief of Staff to the Senate Environment Committee Chair and current WCL professor Bettina Poirier moderated this discussion. There has never been a moment in congressional history where the entire electorate has been pleased with the functionality of Congress and using that standard to evaluate whether or not Congress is broken is quixotic. However, both panelists agreed that the perceived and the actual disfunction has worsened in the past ten years. Kathy Dedrick highlighted the efficacy of her committee, as it is a lawmaking body with jurisdiction over issues that concern every voter in every constituency in this country. An infrastructure bill, Director Dedrick noted, was about the only piece of legislation that could get through a sharply divided Congress. Dedrick pointed to the breakdown of cooperation not just across party lines, but across houses of Congress, as a major cause for concern. During the question-and-answer session, Dedrick noted that to her mind, the increase in individual Senate recognition and celebrity also contributed to an environment where individual legislators aimed to transition to the executive branch, rather than work towards the best interests of their constituents in the legislature. Professor Wallner posited a slightly different take on the relative brokenness of Congress: We aren’t able to confidently articulate the essential features of legislative functionality because we’ve forgotten how to think about how Congress works. Congress works, Wallner stated, when people are able to elegantly reconcile others to suboptimal outcomes, process and negotiate issues of both high and low salience and understand the merits of an inside game. Further, the work product we see from Congress currently is representative of the problem: gridlock happens not because people do controversial things, but because no one does anything. Wallner suggested that the legislative process will always be broken when the entire structure is a devised as a conflict-avoidance scheme. Agreeing with the assertion that legislators are conflict, risk, and loss-averse, he advocated for legislators to charge forward on sticky issues that have high bipartisan ratings and low popularity ratings, arguing that by wading through the controversy, collaboration and long-term coalition building follow in its wake. Finally, both the electorate and constituents need to understand that the system is not designed to facilitate individual happiness but collective solutions. In an ideal situation, no one leaves the table happy. It’s the work of a different panel to parse out exactly how Congress got where it is, and suggestions of increased money, technological advancement, the role of the media, overstated fear of primary challenges, and a polarized electorate all play a substantive contributing factor. The question with which we are all left is simple: What do we do about it?